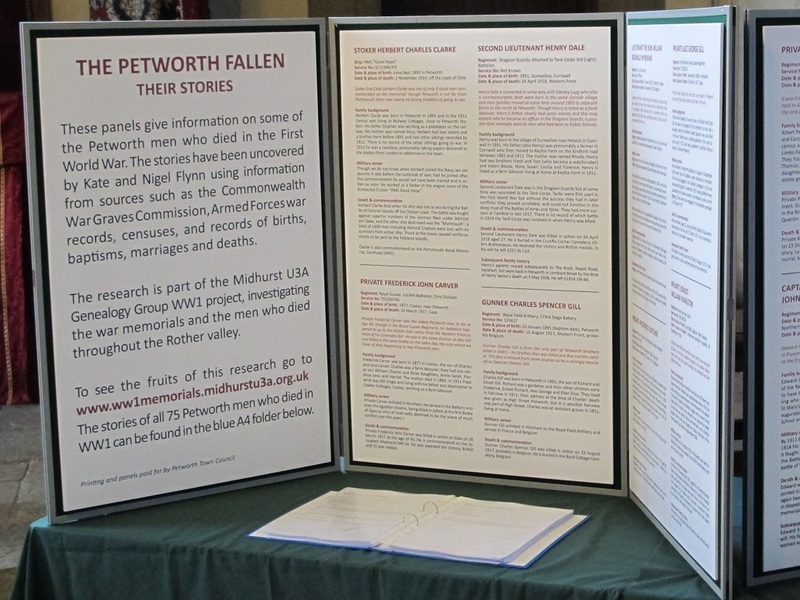 As of mid-April 2015, our group has researched and documented the lives and deaths of 240 men commemorated on the war memorials in Midhurst, Petworth and neighbouring villages in the Rother valley. 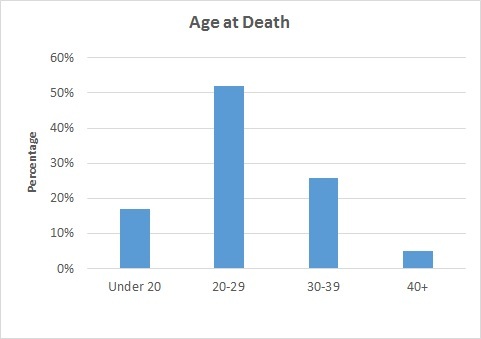 The average age of the men killed was 27; more than half those who died were in their twenties. The youngest men killed were Boy 1st Class George Robbins (Selham), aged 16 years and 65 days and Midshipman John Sims (Lodsworth), aged 16 years and 44 days. The oldest man to be killed was Major Arthur Montague King (Iping) who was killed in action in the Ypres Salient in March 1915, aged 45 years and 156 days. Other than George Robbins , only two men were born in the 20th century, Gunner Albert Waller (Bepton), born 24 June 1901 and Air Mechanic Reginald Bowyer (Midhurst), born 10 April 1900. 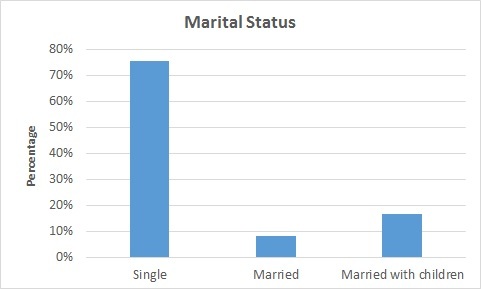 Three-quarters of the casualties were single men; of the married men, two-thirds had children. The deaths of the 240 men resulted in 58 widows and 97 children without fathers. Not surprisingly, a large number of men from the area joined the Royal Sussex Regiment. 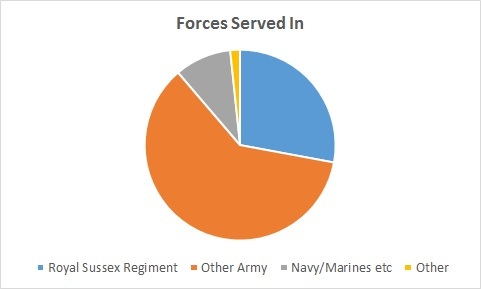 Of the 240 men, 67 (28%) were with the Royal Sussex Regiment when they were killed (several others had originally enlisted in the Sussex regiment, but later changed to another). Despite the relatively close proximity of Portsmouth there was no apparent strong tradition of going to sea, and only 23 men were in the Royal Navy or other sea-based services, including the Royal Marines. The only other regiments with double figures were the Hampshire Regiment with 10 men, mostly from Rogate and Iping, and the Royal Artillery. 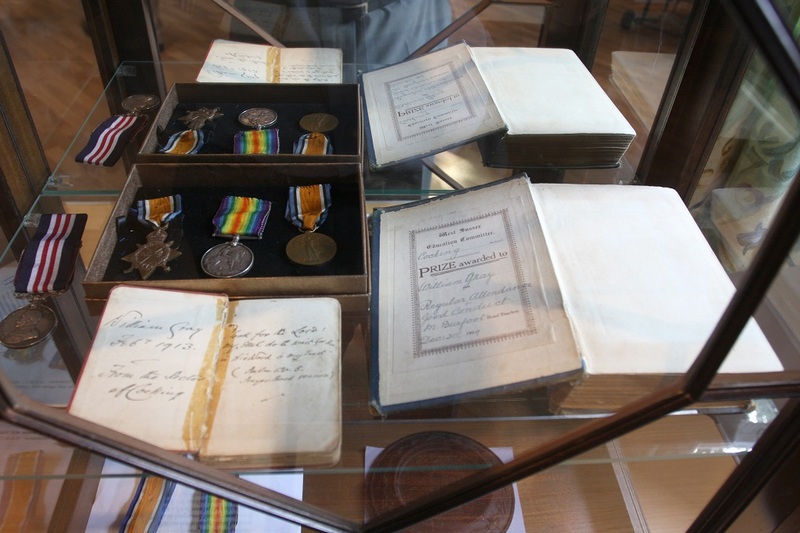 The remaining men served with a whole variety of regiments, including several with the Australian and Canadian forces. The men served in nearly 60 different regiments (or equivalent) from the elite Guards regiments to the more mundane Army Service Corps. Presumably, local men would have only enlisted in such regiments as the Scots Guards, the Yorkshire Regiment or the South Wales Borderers because of family connections. Although some regiments went to Gallipoli and Egypt, most men died on the killing fields of Flanders and France. 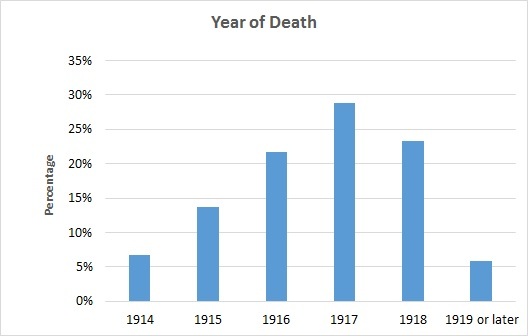 The worst single month in terms of deaths was September 1916 when 11 men were killed; the period from July to November 1916 accounted for 38 deaths, nearly all in the Somme. The worst single day was 31 May 1916, when four Royal Navy men were killed at the Battle of Jutland. Another three Royal Navy men were killed on 26 November 1914, when HMS Bulwark exploded off Sheerness. 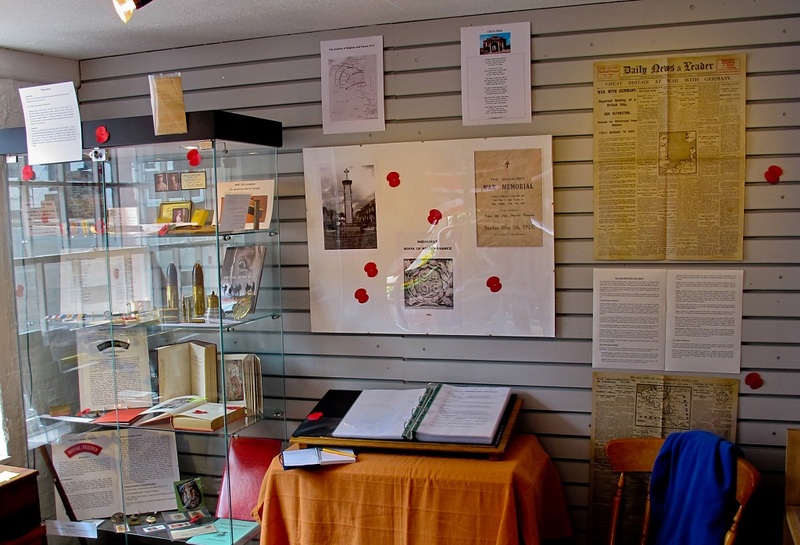 There are several other instances of three local men being killed on the same day, on 14 September 1914, 25 September 1915, 3 September 1916, 14 November 1916, 23 April 1917 and 3 May 1917, often in the same battle. 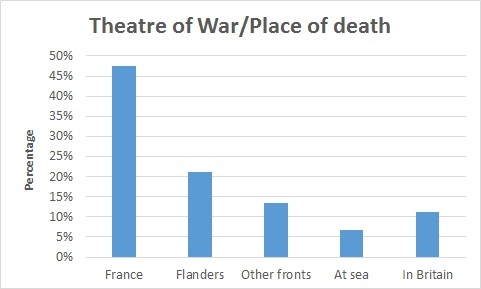 Nearly three-quarters of the casualties were privates or equivalent rank, while 10% were officers. 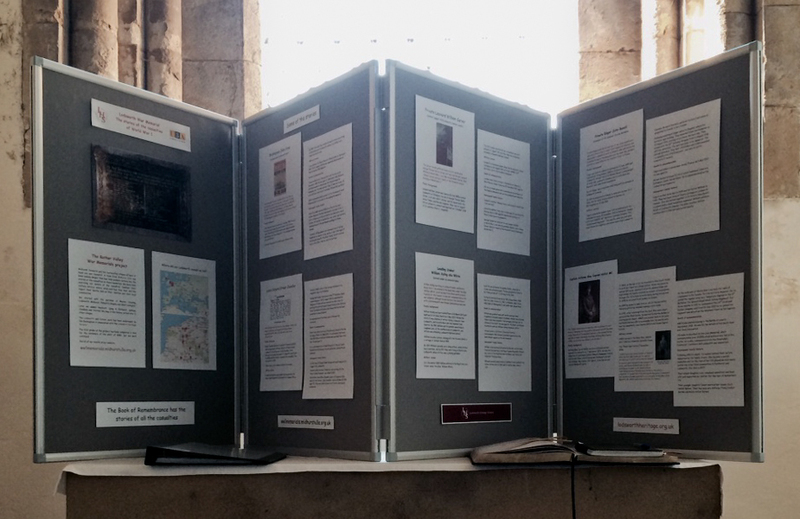 Most if not all the “prominent” families of the Rother Valley lost members. 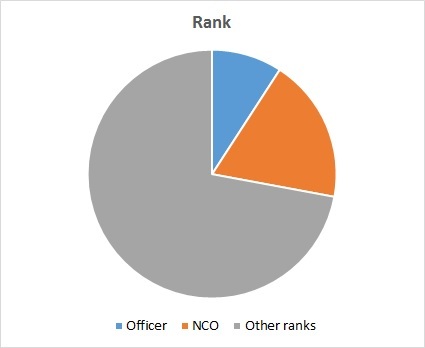 The highest ranking men killed were Lieutenant-Colonels Theodore Eardley-Wilmot and Arthur Lambert (both Petworth) and Commander (RN) George Nixon (Rogate).